We heard about us being in the paper before we even started work out in Bastrop this week. “They’ll be the ones in the green shirts-” and even on the first day out on the site, Bastropians were recognizing us. 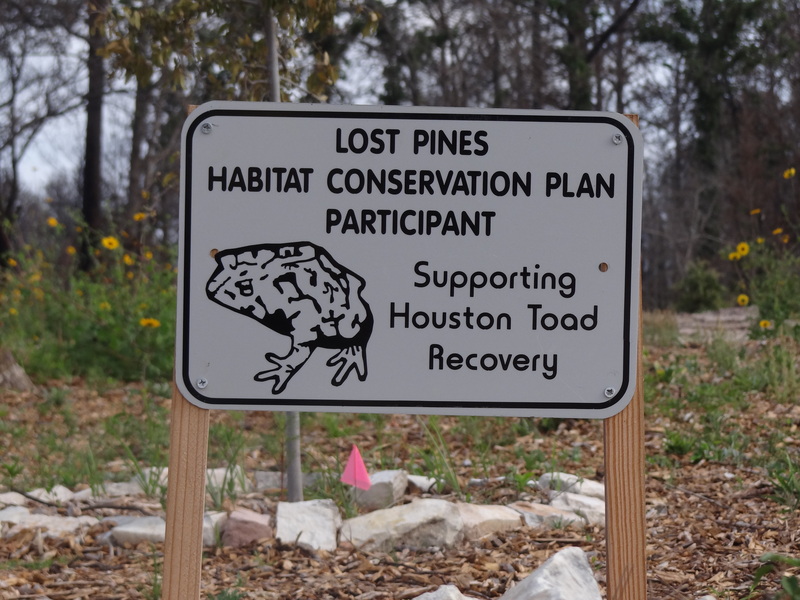 The Lost Pines Recovery Team – our crew for 3 weeks, reseeding county and private land that was deemed high risk for erosion problems. Revegetation and the use of erosion control matting plus a thin layer of mulch will lock the soil together and keep it from washing away in the event of (more) large rainstorms that have already destroyed many roads and properties in the wildfire affected areas. Since reseeding started, we have daily been approached by property owners with questions about what we’re doing, who’s paying for it and how to become a part of the program. A the response and wisdom received from them in turn has been so good.